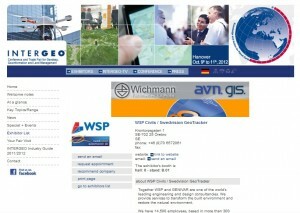 Visit us at Intergeo 2012 ! 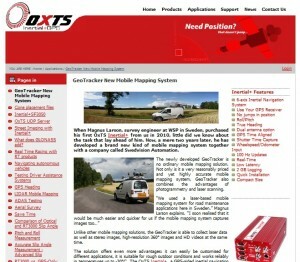 Swedvision Automation will exhibit the GeoTracker at the 2012 Intergeo exhibition in Hanover, Germany from the 9th -11th October. Visit us in the OxTS booth B.01. WSP has bought our new GeoTracker 360° scanner sensor and have become the first Swedish provider offering mobile laser scanning. The WSP GeoTracker system is stationed in Örebro and can at short notice perform data acquisition in a fast, safe and economical way across Sweden and the other Nordic countries. Apart from laser data, the system can also collect stereo images, high-resolution 360° images, video in HD resolution and also ground penetrating radar. The versatility of the products from the collected data is large and the method of mobile data collection provides a complete and comprehensive documentation.